When an assassin gunned down Archduke Franz Ferdinand in late June 1914, no one could have imagined the shocking bloodshed that would soon follow. Indeed, as award-winning historian Sean McMeekin reveals in July 1914, World War I might have been avoided entirely had it not been for the actions of a small group of statesmen in the month after the assassination. Whether they plotted for war or rode the whirlwind nearly blind, these men sought to capitalize on the fallout from Ferdinand's murder, unwittingly leading Europe toward the greatest cataclysm it had ever seen. 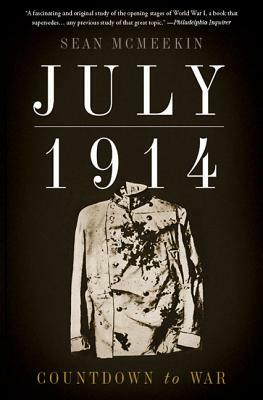 A deeply-researched account of the genesis of World War I, July 1914 tells the gripping story of the month that changed the course of the twentieth century. Sean McMeekin is a professor of history at Bard College. The award-winning author of several books, including The Russian Revolution andThe Ottoman Endgame, McMeekin lives in Red Hook, New York.